Easter is just around the corner, have you prepared for it? Before the dawn of Easter 2011, I will share with you some funs about Easter. And I hope you will enjoy it and have a happy 2011 Easter. Go and have a look. 1. Lots of Americans inclined to eat a lot of candies on Easter besides Thanksgiving Day and Halloween. According to the National Confectioner’s Association, about seven billion pounds of candies were consumed by the Americans on Easter in 2001. 2. Easter can be also remarked as a card-sending festival. On Easter, over 100 million cards will be sent and exchanged, carrying with the good wishes to family members and friends. 4. What can you think of besides chocolate on Easter? Of course, jelly beans can not be omitted. Before Easter candy manufacturers will prepare 16 billion jelly beans at least. These jelly beans are just for Easter which can definitely fill a plastic egg the size of a nine story building. 5. The first chocolate eggs can be traced back to the 19th century in Europe. And since then, it becomes one of the most popular treats on Easter. 6. Except for eggs, what other symbol can you remind of on Easter? Yes, you can call them rabbits, hares or bunnies. About 90 million chocolate Easter bunnies are made for Easter. And what part of the chocolate bunny will you bite at first. According to the statistics, 76% Americans prefer to bite off the ears first while 5% eat the feet first and 4% eat the tail first. 7. When refer to the tunes or carols on Christmas you will certainly think of them quickly. As a matter of fact, Easter has its own special tunes and carols. Easter carols with its words in Latin will indicate the history of Easter and the Easter Bunny. This year you might as well create one for yourself. Or if you have iPhone you can make iPhone ringtone by using Easter carols to boost Easter atmosphere. 8. 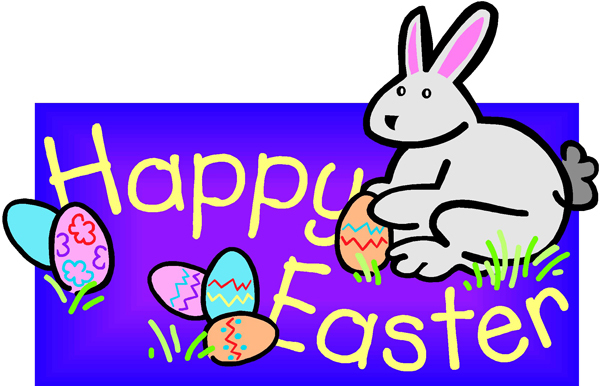 Common Easter symbols including Eggs, Rabbits, Cross, Easter Bells and Easter Lily, etc. 9. Have you heard of the History of the White House Easter Egg Roll? It dates back to 1878. The White House lawn turns the area into a massive playground for children from all over the country after an Easter rolling on it. 10. There was a festival of “egg-throwing” held by the church in medieval times. The priest would throw a hard-boiled egg to one of the choir boys and then tossed from one choir boy to the next. The boy who held the egg when the clock struck 12 would be the winner and would kept the egg. We have Easter every year and after getting the above information I hope you will have an unique Easter this year.